Let’s face it, MLM is not for everyone. Neither is owning a business. Some people do not have the desire, skills, attitude, guts or perseverance to start and grow a business of their own, let alone in MLM. And you know what? There’s nothing wrong with that. You have to remember that most people are WIRED to have a job their whole life. From the time they were a small child their parents told them to get good grades, go to college, and get a good job with a big corporation, so they can have a secure retirement. So when you suggest they do something different, their radar goes up and they REJECT the idea, without even researching it. When you meet folks like this, and you will meet lots of them, there is little you can do except move on to the next person. Don’t spend your time trying to convince them that what you have is good. It used to bother me when I showed a business presentation to someone, or explained the idea of leveraged income, and people just didn’t get it. Now, it doesn’t bother me so much. I realize it’s just part of the game. It’s really no different than selling anything else. After all, you won’t sell steak to a vegetarian and you won’t sell a million dollar property to an unemployed, homeless person, so stop trying! Your key to success in MLM is to find people who are open minded and are looking for a better life. You want people who are keeping their options open and are willing to go against the status quo. All you really need to do is find a few people like this and you will be well on your way to success in MLM. Furthermore, a lot of people get involved in MLM and then decide it’s not for them. There’s nothing wrong with that either. We all have the right to make our own decisions and do what we want with our life. The last thing you should do is try to convince someone who wants to quit, to stay in the business. The best thing you can do is replace them with someone who WANTS to build a business. I’ve found that MOST, not all, of the people who quit MLM were never really that serious to begin with. Most of the people who quit never sponsored anyone, never bought the products and never had any customers. Most of these folks never treated their business like a real business. It’s almost as if they had the lottery mentality and were hoping that MLM would be their meal ticket, without doing any work! At the end of the day, just remember that MLM is not for everyone. Your key to success is to sift and sort through people UNTIL you find people who are looking for what you have to offer. Don’t spend your time chasing, bugging, annoying, selling, convincing or pressuring people to join your team. That’s a recipe for stress and failure. What do you think about this subject? Leave a comment below to share your thoughts. It would be wonderful if every single person we talked to said yes, but really, would it be wonderful? If everyone said yes, the business would be depleted. It would be like our money system right now. The Feds are printing money and we don’t have the gold and silver to back that money. Personally, I have to respect a person that knows themselves well enough that they look at the whole picture. If they don’t think they would be able to give the MLM 100%, it is much better if they say no right up front instead of joining and quitting 2 or 3 months later. This was a great post that many should read to have an understanding that not everyone is cut out for network marketing. There is no business in the world where every prospect says yes. If you want more yeses, talk to more people, talk to better quality people, and improve your skills. That is the best advice I can share with anyone who reads this. Very insightful. Chuck this article simply put is that the 2 or 3 people you will make the thousand dollar fortune on are not in this category. Them wired for jobs really cannot fit into the (highly) brain-intensive MLM business.I would also like to note that these people, them not wired for the MLM business easily get discouraged and lack the aggressiveness needed for survival. 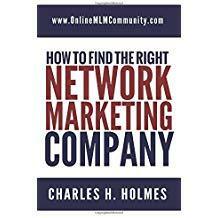 Now MLM is a highly challenging career with obvious pitfalls that filter out the many failures from the few millionaires.